Before Once Upon a Time and other fairytale spinoffs started making the rounds on our screens, there was the 10th Kingdom. This easily one of my most favorite made-for-tv movies. 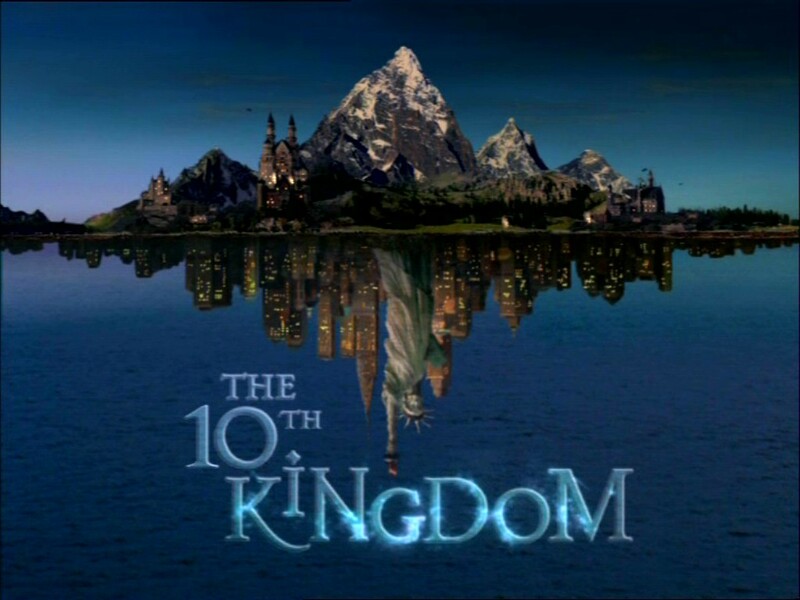 The 10th Kingdom while initially wasn’t received well when released back in 2000, has since acquired a cult following (who are eagerly awaiting a 2nd installment- seriously, Kimberly Williams Paisley looks like she hasn’t aged a day)- and rightly so. Williams-Paisley plays Virginia, the daughter of John Larroquette’s Tony Lewis. Who become entangled with a wolf, trolls, and dog (who happens to be the grandson of Snow White, and Prince of the 9th Kingdom) – who have traveled from a parallel universe where all fairy tales are real, but happily ever afters are not. Both father and daughter travel back into the universe, and embark on an adventure to save the 9 Kingdoms and find a way to return home. Self-discovery, magic, romance, and some seriously bad luck ensue. I love love love this miniseries- it’s so sweet and funny, with just the right amount of action- it a major family favorite. Humor is cleverly used, as the fairy tales we all know are smartly intertwined throughout the whole series. It’s (roughly) 7 hours amounts to a great rainy day film, the kind you watch on a day spent at home eating take-out. Right now you can find it on YTube (here), or if you really love it you can buy it on amazon. “Wolf: But you don’t understand, I won’t be here next week! Previous Post The NYC Talon Best in Beauty Giveaway! Ends 7/16!